On Sunday, we brought you a quick review of FlexT9. What did you all think of it? The AAS free paid app for today is Monkey Preschool Lunchbox. Instead of covering that though, we’re taking a look at a third party app by a developer many of you have heard of, Jason Calhoun. We reviewed his app System Info Widget here before, but wanted to bring him back into the spotlight with a different app, MySchedule. MySchedule is a handy app for everyone that lives through their calendar. The app lets you easily connect with your Google Calendars and all of its events. 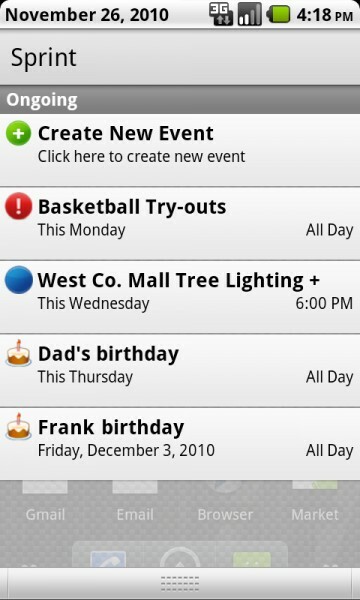 I say easily because it puts your upcoming events right into your pulldown/notification menu. 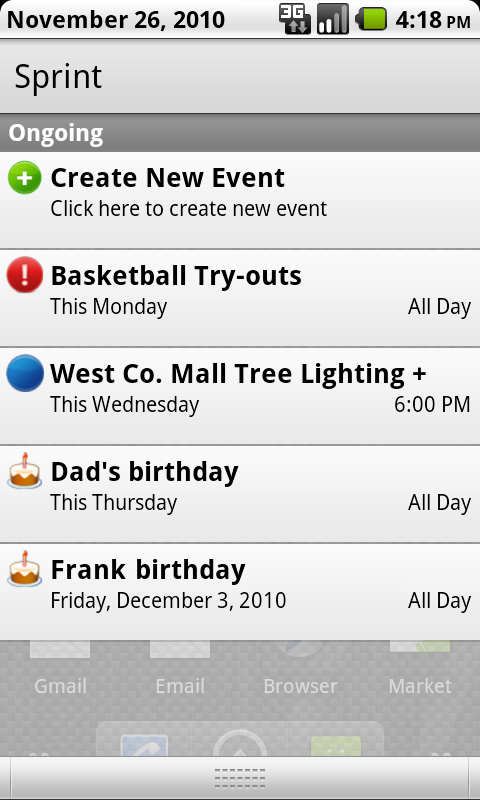 Everything is customizable in the app and gives you more features than the calendar app included within Android – colors, icons, frequency, and more. Jason’s apps are on or have been on all of my devices. System Info Widget is without a doubt one of the few widgets I actually have on my homescreen. Market Link | You can view the rest of his apps at http://www.jasoncalhoun.com/. Also if you follow him on twitter, @JasonC, he frequently gives away swag, apps, and more. Oh, did I mention that HE IS GIVING AWAY A FREE NOOK COLOR? That’s right! On Memorial Day, anyone who purchases an app for a measly dollar will be entered into the drawing. You can buy any app for a dollar and also there are ways listed to get up to 150 entries into the drawing! I encourage everyone to head on over and check out his site. Third party developers are vital to the growth of Android apps. Let us know which app you went with and what you think!